In the paragraph below, find the correct word or phrase that matches the Hebrew words in the list. Fill them in or write out both lists for practice! In the beginning God created the heavens and the earth. And God said, “Let there be light” and there was light. And God saw that the light was good, and God divided the light from the darkness. And God called the light day and the darkness He called night. He separated the dry land from the waterof the seas. The root word rosh – ראש – means the beginning, or the head of; something important. Do the same with the other nouns in the lists above. These change the form of the word somewhat, as do: sons – banim and daughters – banot. Fathers also are exceptions – avot , while mothers simply add an ‘ot’ – ima’ot. 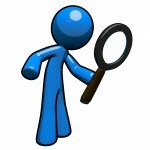 which simply receive the general endings im and ot. Match the Hebrew word or phrase with the phrases below. VOCAB. EXERCISE 2 : Fill in the words of the song in English. 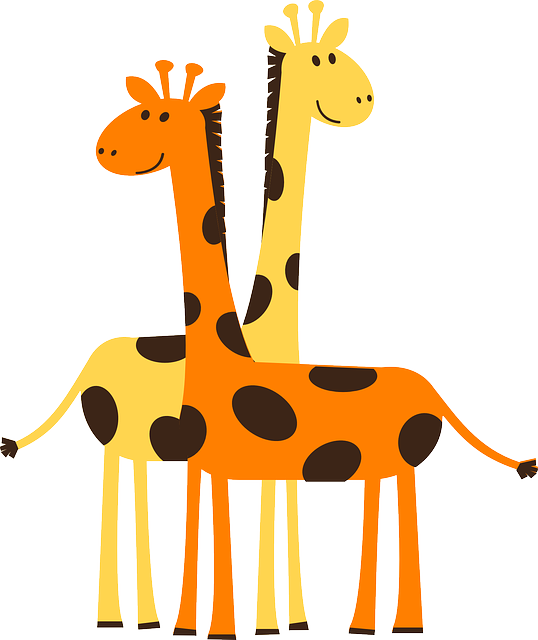 The giraffe has a long neck. He can see a bus before it leaves (goes out). And the sun before it dawns. all look like small dots to the giraffe! Experiences can fade with time and even be forgotten. A journal is a wonderful place to hold these memories. It is a place of return – to contemplate healing and growth, to be encouraged and even at times to simply water the seeds that were planted long before. A journal can act as a mirror, a lens, or a window. 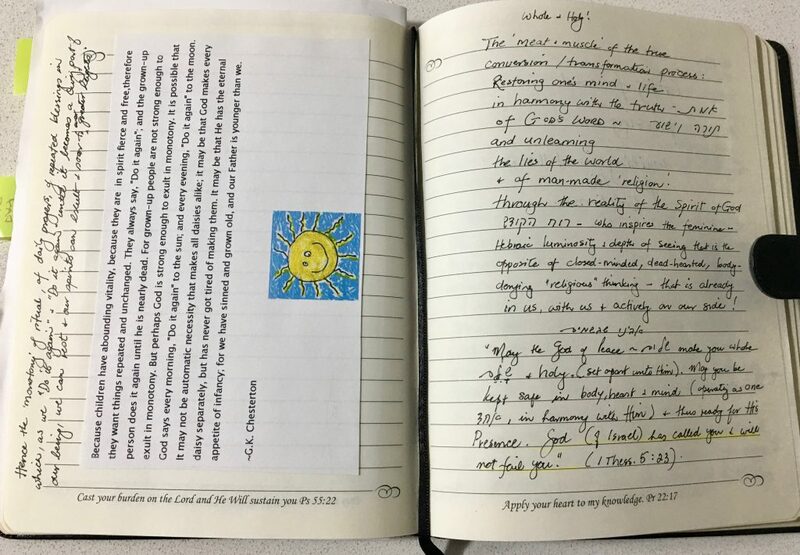 Your journal is a place for you to be creative, to draw, doodle, record thoughts, quotes, poems, and Scriptures. It’s a safe place where you can have honest conversations without the worry of being misunderstood or rebuked. 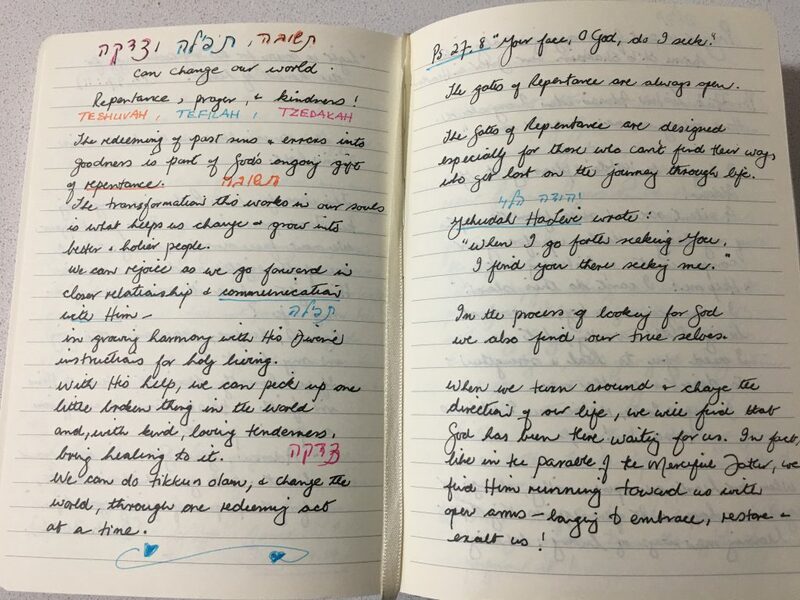 If you haven’t previously developed the habit of journaling, we encourage you to begin with this very special Rosh Chodesh cycle. Not much is needed to join us on this adventure. Basically, you only need sheets of paper, a pen, and a binder to hold your thoughts and mementos of this season. The rest is up to you. 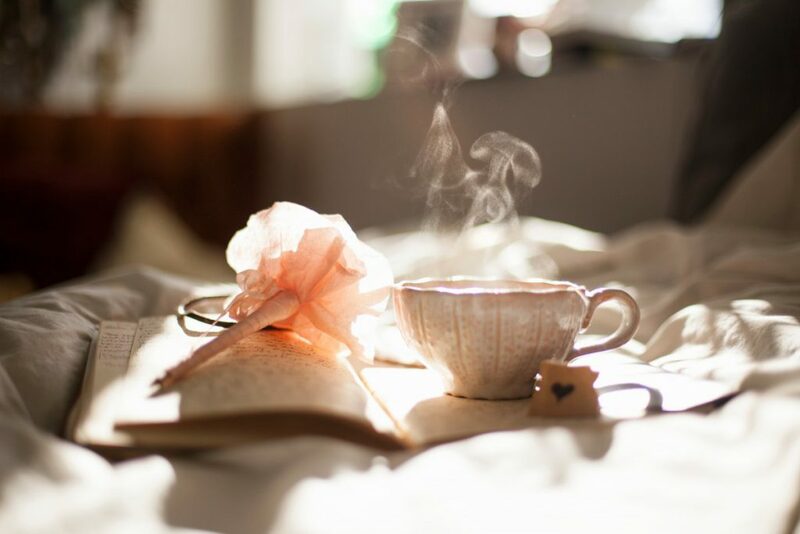 Remember that you can journal with more than just words – include images, doodles, scribbles, and even tangible mementos. 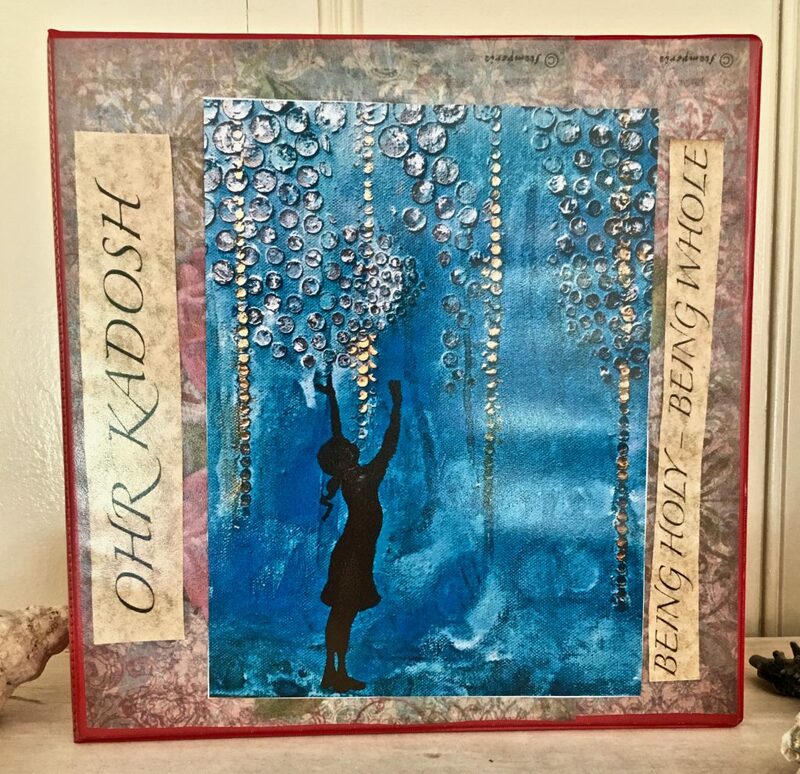 Invite our Creator G-d into the heart of your journaling and enjoy! 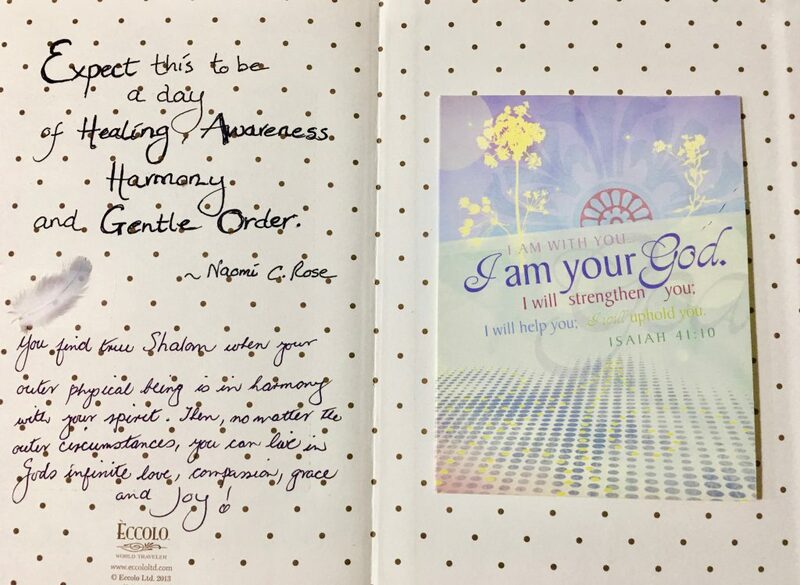 Each month we will provide a PDF download of Keren’s notes, including a journal page with ideas to respond to in connection with the themes of the month. Following are a few examples of my [Keren’s] past Journal notes. They include quotes, meaningful cards from friends, notes from othere sources and my own thoughts. I have kept these for years and I am amazed at how the Lord leads me to a specific one when I need to review the contents. This year, though, I aim to expand to include more drawing, sketches maybe, and illustrations! More color! There are always new possibilities. Simply enjoy making a start if you haven’t journaled before. * From the same root as chodesh (month) and chadash (new), the Hebrew word chidushim means new insight and thoughts; fresh inspiration. 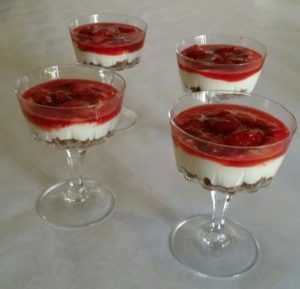 Strawberry Yogurt Pots – Delightful dessert for Shavuot! 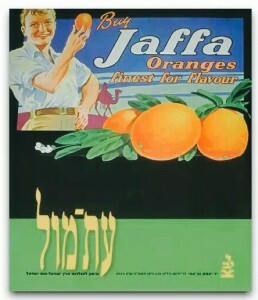 Just in time for the dairy goodness of Shavuot! A delightful Summer dessert – the sweetness of strawberries with the zesty tang of lemon! You can decorate the ‘pots’ with a bright dash of green mint leaves or a swirl of whipped cream crowned with half a fresh strawberry. Melt butter in a small saucepan and then transfer to a food processor with ginger nut cookies and process until they are fine crumbs. Divide the mixture between 4 glasses and press into base of each. Chill in refrigerator. Put the strawberries and granulated sugar in a saucepan and cook stirring continuously for 4 mins on low to moderate heat. Put aside and cool. In a bowl mix together Greek yoghurt, cream, icing sugar, lemon zest and juice of lemon. Fill the glasses with the yoghurt mixture and top each with the strawberries. Chill for 3 hours. These are a favorite with our family, I make a a huge batch and keep them in the freezer for days. They are ready for a quick defrost when we need to pack a lunch or grab a really fast breakfast. 2. 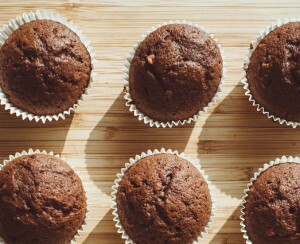 Bake in lined muffin pan at 350° until done (when you can smell them and they are firm to the touch but not hard). I (Cindy) can testify to these begin so easy to make and so delicious! This is a very simple, delicious, rich, yummy dessert. Our family even enjoys it for breakfast with fresh fruit. It also makes a great baby food if you omit the honey and use extra egg yolks instead of whole eggs. 1. In a large sauce pan dissolve the gelatin in part of the coconut milk. 2. Add the rest of the ingredients and stir constantly as it cooks until it thickens. 3. 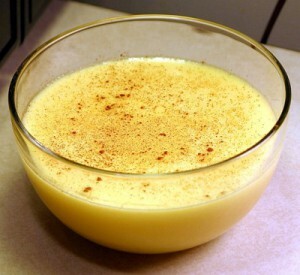 Pour into cups or small dishes and dust with nutmeg, chill until set. Amazing with a bit of maple syrup drizzled over the top. Pour hot water into several covered containers that will fit inside your cooler to warm up the inside of the cooler. Heat 1-quart of milk on stovetop to 180 – 185, stirring with WOODEN spoon to prevent film from forming. Add 1/3 cup nonfat dry milk, stir thoroughly (makes yogurt thicker and boosts the calcium). Hold yogurt temp 10-20 minutes to prepare whey proteins which are responsible for thickening. Cool milk quickly to about 125 degrees (put pan in sink filled with cool water – keep thermometer in yogurt). Pour milk into a sterilized container with a cover (washing in dishwasher is good). Add starter culture (2 tbsp of store-bought yogurt); stir thoroughly before adding & after to incorporate. Wrap a towel around yogurt container and put inside cooler with the hot water containers. Set the cooler somewhere it won’t be jiggled for next 4-10 hours (incubation time will depend on starter used and thickness and texture desired). With store bought yogurt as a starter, it’ll probably take 8-10 hours to thicken enough. I often do this overnight. If yogurt is too thin for your liking or you want to add fruit or maple syrup, thicken it by draining off some of the whey by letting it drain into a strainer lined with sanitized cheesecloth, coffee filters, paper towels, or a clean tea towel. 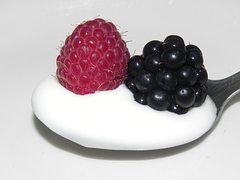 Refrigerate – which will also cause yogurt to thicken a bit more. For “French Vanilla Yogurt” add 2 tbsp sugar and ½ tsp. vanilla for every 1 quart of milk (after “cooking”). Skim milk makes firmer yogurt, whole milk makes creamier. Store-bought yogurt works only for a limited number of “rounds”, then you must buy new yogurt to start the next batches. You can buy dried yogurt cultures online. 1. 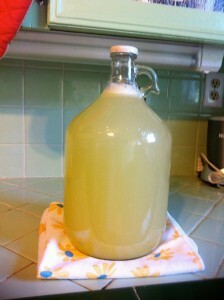 Pour 2 cups of freshly squeezed lemon juice and a pinch of salt into a gallon container. 2. Fill the container with filtered water – leaving room for your sweetener. 3. Add your sweetener of choice a little at a time until you reach your sweetness level. 4. Shake well and serve over ice. 5. Garnish with a slice of lemon and a sprig of mint. *Tip: If you are adding maple syrup that has been stored in the refrigerator let it warm to room temperature or warm in a vat of warm water. A delicious, sweet fig dessert that’s simple but sophisticated. Place 4 halves on a small plate, drizzle with sauce from pan, top with a dollop of Greek yogurt, drizzle with honey and sprinkle with pistachios. 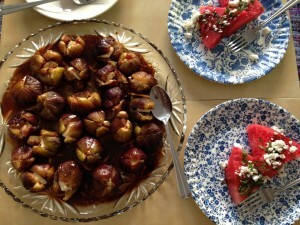 PIcture: For a larger gathering you can present a platter of the figs with toppings on the side. 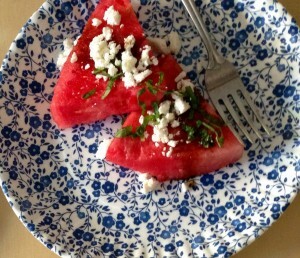 An excellent accompaniment is cool watermelon, sprinkled with feta cheese and mint. This is also great as a starter or a fresh snack in summer! This recipe is versatile and can be enjoyed in any setting! Sprinkle the eggplant with salt and let stand for 15 – 20 minutes (this causes the eggplants to sweat taking out moisture). Moisture will appear on the surface of the eggplant after about 15 – 20 minutes. 2. Rinse salt from the eggplant and pat dry. 4. In a small bowl, mix together thoroughly, soy sauce, rice vinegar, brown sugar, garlic and cornflour (cornstarch). Put aside. 5. Heat a non stick frypan or wok over medium high heat till hot, then add oil. Add eggplant cubes and sauté till browned , 3-5 minutes. Put aside. 6. Add the red capsicum (bell pepper) to the frypan or wok and continue to sauté for 2-4 minutes until the capsicum (bell pepper) chunks are tender. 7. Add eggplant back into frypan or wok and mix with capsicum (bell pepper). 8. Reduce heat to medium. Pour the reserved sauce over the top of the eggplant and capsicum (bell pepper). Stir the sauce with the vegetables until evenly coated. Continue to stir until the sauce thickens, add the pineapple chunks and stir through or you can add pineapple chunks fresh as well. 9. 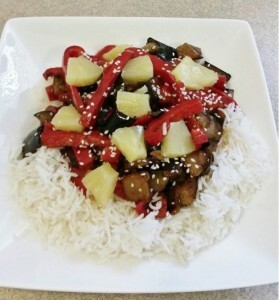 Serve over hot rice, Sprinkle sesame seeds over the top of the eggplant and capsicum mixture & serve. Debbie’s husband Yossi (originally from Morocco and a good cook himself) has made this apple pie for special occasions such as Rosh HaShanah or for Shabbat. When they ran a restaurant in Durban, South Africa – called, appropriately, Yossi’s – this pie was a great favorite. Peel apples and chop into large cubes. Place the apples and all the remaining filling ingredients in a large saucepan, and simmer gently, covered, till apples are cooked and any excess liquid has evaporated. (You may need to remove the lid to reduce the liquid). The mixture will be thick and jam-like. Adjust taste if necessary. Leave to cool a bit. Mix butter and sugar. Add eggs, gradually. Add lemon rind, then flour until you get a soft, pliable dough. 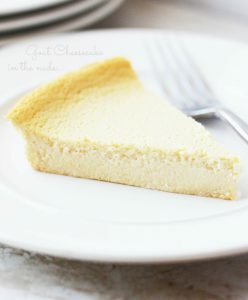 Line a greased pie dish with a thin layer of the dough. Prick with a fork. Bake 190C for 10 mins. Remove from oven. Arrange Apple Pie filling on top. Roll out remaining dough on a floured surface. 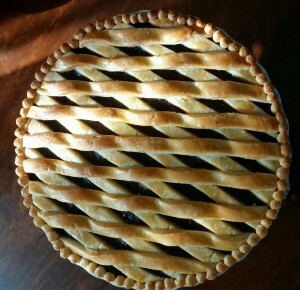 Cut long strips and arrange them in a lattice pattern on the pie filling. Brush the strips with a little beaten egg yellow and sugar and bake till golden. Let cool and enjoy with a scoop of vanilla ice-cream or whipped cream. 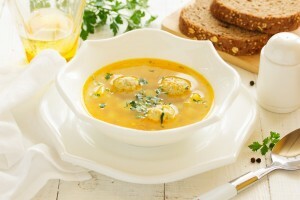 This pumpkin soup has a surprise dash of curry! I have opportunity to entertain folk from different countries and this delights my guests from India and Sri Lanka, as well as all who enjoy Indian cuisine. To add protein, one can also add precooked chicken meatballs (as in the picture) for the last 10 – 15 minutes. This is fine to make ahead of time and reheat making sure not to boil when reheating! Also tasty as warmed up leftovers! Note: If you do not mix dairy and chicken don’t add the milk/cream, use vegetable broth and olive oil instead of butter..
¾ medium, or ½ large apple – peeled and cored and chopped fairly small. 3. Heat/simmer approx. 20 minutes or until apple is tender. 1, 2, 3 – Delicious, quick and easy! 1. Mash banana in a bowl. Stir in chia seeds. Whisk in remaining ingredients. 2. Place in fridge overnight to thicken. 3. In the morning, you can add dried or fresh fruit and/or nuts and seeds for texture. 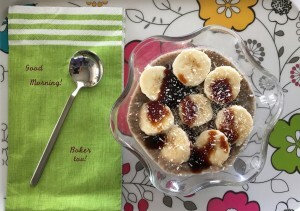 Pic: Keren ~ I topped mine with banana, a drizzle of date honey and a sprinkle of coconut – it was delicious! The name Tabbouleh is derived from the Arabic word for spice, tabil and the Hebrew word for seasoning, tivul. Originally from the mountains of Syria and Lebanon, tabbouleh has become one of the most popular salads throughout the Middle East and an Israeli favourite. 1. Cover groats or couscous with boiling water, leave aside a few minutes till softened. 2. Mix all the chopped ingredients together in a large bowl. 3. Add the groats or couscous. 4. Season to taste, add sugar and some olive oil and lemon juice. 5. Toss and serve immediately. A refreshing contrast to traditional fruit salad, this Jaffa delight combines citrus fruits with litchis, dates, raisins and almonds, marinated in sweet wine. Put all ingredients, except the dates and almonds, together in a big bowl. Let stand at least an hour. The dates/almonds are sprinkled over the salad just before serving. 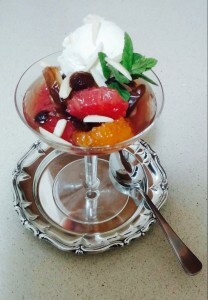 Garnish the salad bowl or individual servers with mint sprigs and serve with vanilla ice cream.